Looking for a New Home in an Old Calgary Neighbourhood? 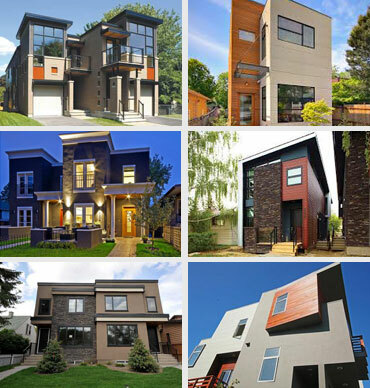 Here you can browse all Calgary Infill homes. Search for infill homes in North Calgary and South Calgary, or drill down farther and search for Calgary Infills neighbourhood-by-neighbourhood. We've curated these lists to only include homes in older, more mature areas of inner-city Calgary that have been built within the last 20 years. Located in the southwest portion of Calgary's inner-city region, Altadore was established in 1915 and lies along the Elbow River. There are 5 parks in Altadore: Riverdale Park, Sandy Beach Park, River Park, Altadore Park, and Glenmore Athletic Park. Altadore has one of the largest off-leash dog parks in the city of Calgary, and for any outdoor enthusiast is an ideal place to call home. In addition to its recreational amenities, the commercial area of Marda Loop is located on the north side of Altadore, providing essential services and shops right within the community. The neighbourhood of Bankview is located in Calgary's southwest quadrant, within the inner-city area of Beltline. Providing panoramic views of Calgary's downtown core, Bankview is know for having an active Community Association that maintains playgrounds, parks, and a tennis court within the area. Every September, Bankview hosts an annual Heritage Day festival, providing walking tours of the neighbourhood's historic homes. Bridgeland is located just northeast of Downtown Calgary and is primarily residential, including a mix of parkside condominiums and single family detached houses. Bridgeland is amenity-rich, featuring many restaurants, retail shops, offices, financial services, religious organizations, and schools. There is access to the Bow River pathway system, and the neighbourhoods are close to Calgary's most popular park areas, including Nose Hill, the Calgary Zoo, and Princess Island Park. There is a lot of exciting modern urban development happening in this community. The community of Renfrew is just south of Bridgeland, in the northeast area of Calgary's inner-city region. It borders the Trans-Canada Highway to the north and the Deerfoot Trail to the east, making this a great community for commuters or those who want fast access to Calgary's freeway system. For those who love Calgary's downtown, Renfrew is only 3,000 metres from the core and easily accessible by foot, transit, or car. A residential neighbourhood in Calgary's northwest quadrant, Capitol Hill was established in 1948 but contains historic buildings from as far back as 1910. Close to both the University of Calgary and the Southern Alberta Institute of Technology (SAIT), Capitol Hill has a large population of University students and faculty. And eclectic mix of old and new, when it comes to both people and homes! Hillhurst was annexed by the city of Calgary in 1907, and is located in the northwest portion of the inner-city. Many of its homes were built after World War II, labeled "Victory Homes" for the returning soldiers in the late 1940s. One of Calgary's oldest neighbourhoods, featuring small but well-kept homes on tree-lined streets. Close to the Kensington business district and annual Farmer's Market, Hillhurst has become a popular place for infill development. Hillhurst is located along the C-Train line, and close to both Hillhurst Athletic Park and Riley Park. Located in Calgary's northwest quadrant in the inner-city, Mount Pleasant in only 4 kilometres away from Calgary's downtown core and close to SAIT. Here you can find a community hall, swimming pool, and Sportsplex as well as the services along 16th Avenue and 4th Street. Primarily a detached house community, a burst of new infill development in recent years has added a selection of modern homes to the Mount Pleasant streets, including duplexes, townhouses, and apartment-style condos. Found in Calgary's inner-city, the real estate here is primarily low density residential, but growing infill development over the last 20 years has slowly increased the density of parts of the neighbourhood. You'll find Foothills Hospital on the hill just north of Parkdale, and many residents make regular use of the nearby Bow River Pathway system. With easy access to the Trans-Canada Highway, Crowchild Trail, and Bowness Road, Parkdale is ideal for commuters. Excellent transit access and amenity selection. Located in the southwest portion of Calgary's inner-city, Richmond Park/Knob Hill is one of Calgary's oldest areas, originally annexed in 1907. Most of the original development was done in the 50s, but an increase of infill development here has renewed interest in this area of town. The business area of Marda Loop is nearby, as is Calgary's Southwest Regional Park and the Richmond Green Golf Course. Found in Calgary's southwest inner-city area, South Calgary was annexed in 1907 but remained largely undeveloped until the 50s. Featuring breathtaking views of both downtown and the mountains to the west, South Calgary contains an eclectic variety of housing styles. The neighbourhood is close to the Marda Loop business area, and is located along Crowchild Trail, providing quick and easy access to Calgary's freeway system.